This Smooth Snake was photographed in Dorset in May this year. 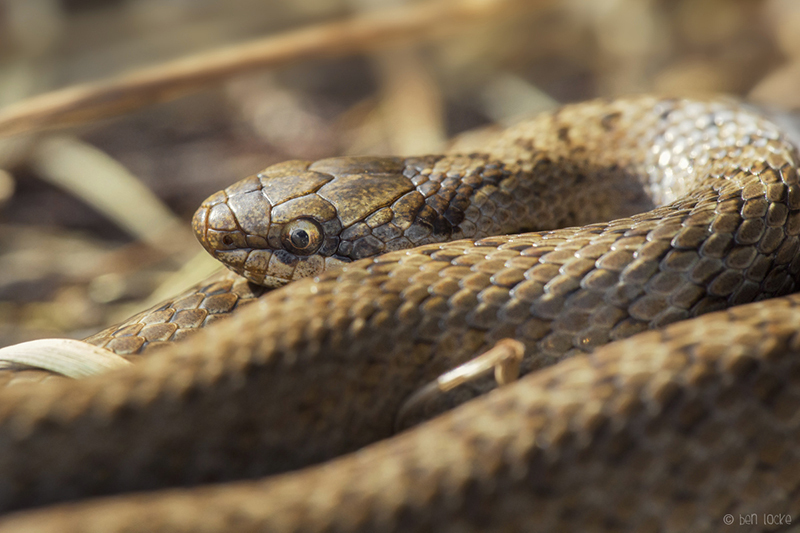 Smooth snakes are Britain's answer to the boa constrictor. Though harmless to humans, reptiles and small mammals have much to fear. Smooth snakes kill or subdue their meals by squeezing the life out of them before finally swallowing the unfortunate victim whole. They hibernate communally through the winter and, after emerging, the males fight for females. Rearing up, they push their opponents to the ground and coiling around each other until one gives up. They are incredibly rare in Britain being restricted to southern heathland, but widely distributed throughout Europe.